You probably remember Lisa Leslie’s basketball prowess from the Olympics in 1996, as well as from 2000, 2004, and 2008. Fun — and super ~amazing~ fact: While on Team USA, she won four consecutive Olympic Gold Medals and was the first team sport athlete to do so. Talk about accomplishing what you set out to do — and even more. So the question is not, “What is Lisa Leslie doing now?” Rather, it’s what isn’t she doing? With the start of the Rio Olympic Games on August 5, I guess this shouldn’t come as a surprise. (Bustle has reached out to Leslie's team for comment and will update accordingly). The sports icon seems to be on TV, as a sports commentator, every time I turn it on — commenting on the NBA playoffs here, the NCAA Women’s Tournament there. She also covered the 2012 Olympics for NBC. She’s able to speak to basketball, not to mention she’s smart, beautiful, funny… You know, seemingly perfect. Aside from being a basketball pro, she’s made a life as a mother, wife, motivational speaker, entrepreneur, sports analyst, author, actress, and started modeling after college, too. Of course, many of us know and love her from her time with the WNBA, when she played on the Los Angeles Sparks. Not only was she the first woman to slam-dunk in a professional game (you show ‘em! ), but she won three MVP trophies. Three (!). In 2001, Leslie was the first WNBA player to win all of these in the same season: regular season MVP, the All-Star Game MVP, and the playoff MVP. If you’re doubtful that superheroes exist — and if you need any inspiration to do anything — think of Leslie. 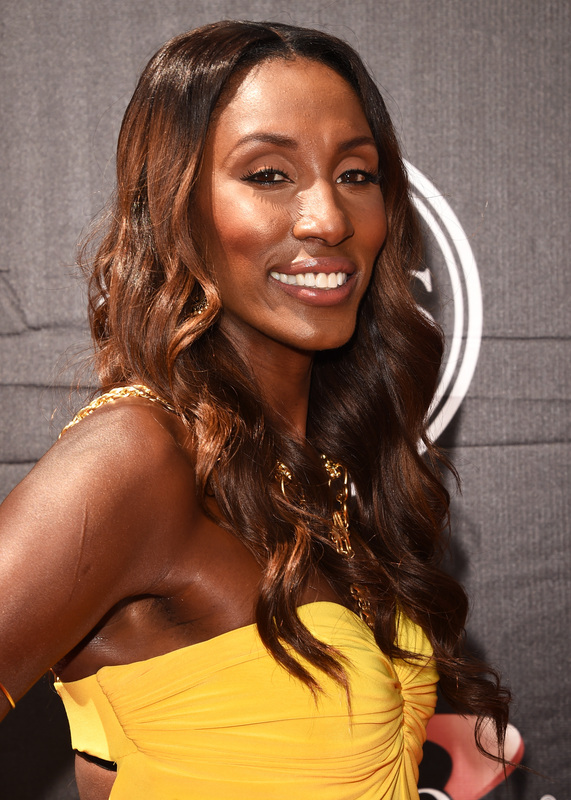 Here are a few things to know about Lisa Leslie. Leslie was born on July 7, 1972, so yep, can you imagine being in the Olympic Trials around 20 years old?! Back at Morningside High School in Inglewood, CA, Leslie helped the team get to two state championships. And when she played in college at the University of Southern California (USC), she also rocked the court — she was the all-time Pac-10 leader in points, rebounds, and blocked shots. At her first Olympics, Leslie needed the support of fellow players before they even started playing. In her book, she said the men’s and women’s basketball teams walked in together, and some of the NBA superstars beside her included Reggie Miller, Shaquille O'Neal, and Karl Malone. As she was waving to the crowd with her fellow athletes, her right shoe fell off and she had to lean against Malone so she wouldn’t fall. I love how real this makes Leslie. What did Leslie do between her time with the WNBA and Olympics? In 2007, she managed to have her first child, Lauren, then go back to the 2008 Olympics, as well as the WBNA, where she retired in 2009. NBD, right? Anyone can just have a child, then go right back to the Olympics — and win the Gold, no less. You can check out more of that speech here.